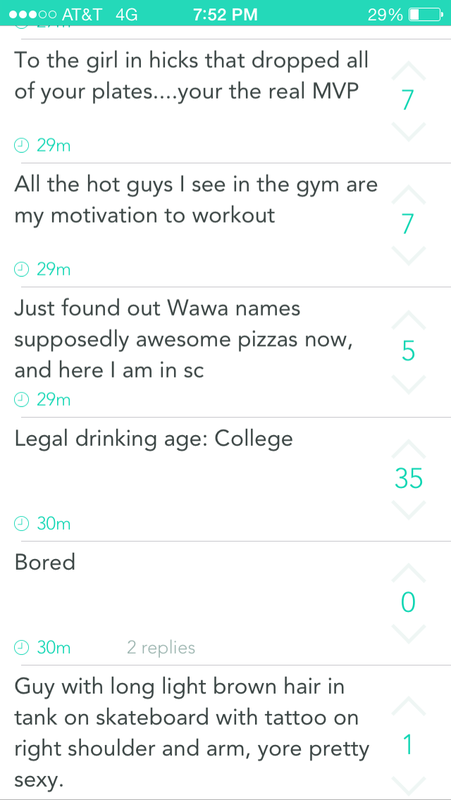 This entry was posted in Uncategorized and tagged Coastal Carolina University Yik Yak, how to utilize Yik Yak, Yik Yak by brent. Bookmark the permalink. Hey Brent, I randomly read your blogs. Good stuff. How about free giveaways at random locations on campus on game day. Just post a location and first one there that references your post wins. Mike – Brilliant idea!! In fact, based solely on your suggestion, I just sent this Yak out: “First person to come to Singleton 204 will receive a #CCU prize pack. Just say “Yik Yak” when you walk in, #CCUSocialMedia.” I will let you know how it goes. Thank you!